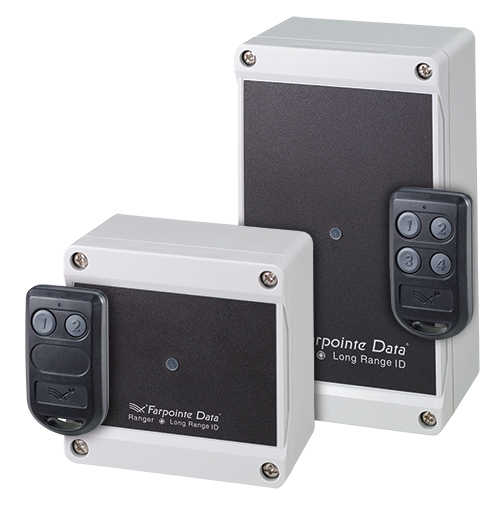 Ranger Receivers and Transmitters comprise Farpointe Data’s long-range radio frequency identification (RFID) solution. This solution operates at the globally harmonized frequency of 433-MHz and offers exceptionally long transmission ranges of up to 200 ft (61 m). Users find Ranger to be ideal for a host of electronic access control applications, such as parking gates, vehicle barriers, and sliding doors. Additionally, each Ranger Transmitter may also be used as a traditional, presentation-style access control credential—just like a standard access card. Exceptionally long read range—up to 200 ft (61 m)!